June 22 – 23, 2019. Gold Coast, QLD. 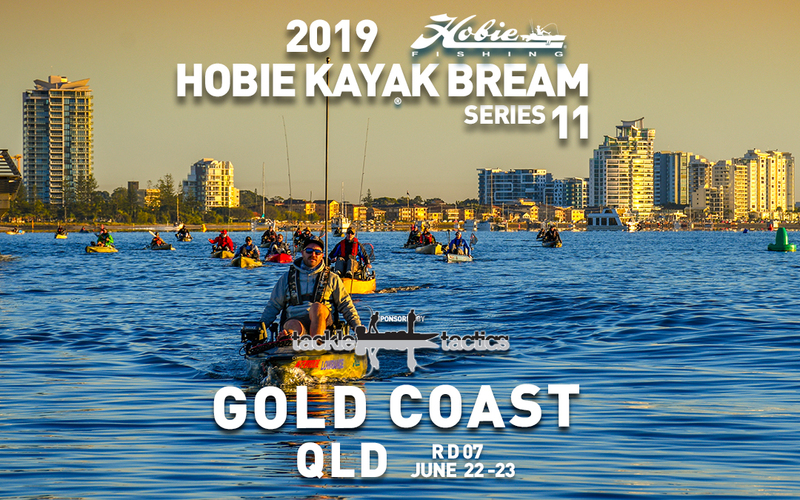 TACKLE TACTICS ROUND 7 OF HOBIE® KAYAK BREAM SERIES 11 HEADS TO THE GOLD COAST SITE WHERE HOBIE FISHING WORLDS 8 WILL BE BATTLED OUT IN JULY. Early Entries Close at midnight AEST on 15 June 2019. This is a 2 day event. June 22 – 23, 2019. Monday 10th June up to and including Thursday 20th June. Seaward side of the outer Port and Starboard Markers of the Gold Coast Seaway Entrance. If you are asked to move along from ANY marina. Please do so immediately. Day 1 6:20am. Day 2 Briefing time will be announced on Day 1. Day 1 Session time will be announced at briefing (see 2019 Rules, item 16). Day 2 Session time will be announced at briefing (see 2019 Rules, item 16).